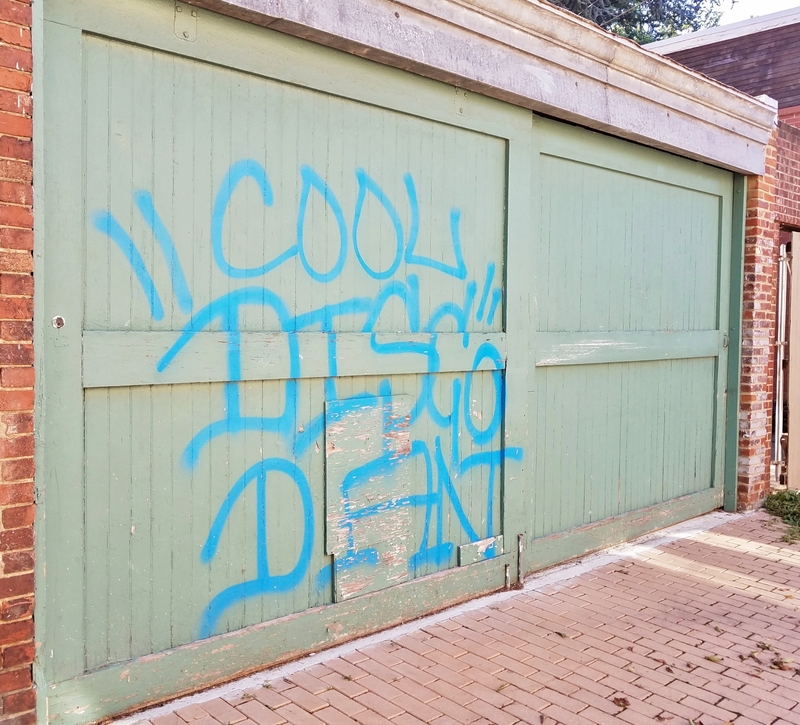 One of the last – maybe THE last – “Cool ‘Disco’ Dan” tags remaining on Capitol Hill. In the late 1980s and early 1990’s, the tag was ubiquitous across the city. Most ANCs and their committees as well as other community civic organizationss do not conduct business during August. There are a few exceptions. ANC 6A and ANC 6C Transportation & Public Space Committees will meet jointly for a DDOT presentation on the K Street, NE, redesign project concept plans. 7:00pm, Capitol Hill Towers, 900 G Street, NE – Photo ID required. PSA 107 meets at 7:00pm in Southeast Library, 403 7th Street, SE, lower level. 2. Friends of Southeast Library meet at 5:30pm, in Southeast Library, 403 7th Street, SE, lower level. Hill East volunteers will team up with the 7-Eleven at 15th and Independence Avenue, SE, to attack litter in the immediate neighborhood. Meet at 9:00am at the 7-Eleven (come early for free coffee and donuts. 7-Elevan will provide trash bags and gloves for volunteers who need them. Afterward volunteers are welcome to hang out for 7-Eleven Customer Appreciation Day for free Slurpees and other goodies. Tom Dunkel is the neighbor point of contact for the event. Please email him at tdunkel@verizon.net if you are interested in participating.